The first class 331 EMU built by Spanish train manufacturer CAF has been showcased at the company’s Zaragoza plant. This is the first of an order for 43 EMUs (12 x 4-car, 31 x 3-car) that British operator Northern placed in January 2016. This £490 million order also included 55 class 195 DMUs (25 x 2-car, 30 x 3-car), a total of 281 vehicles. From a driver’s perspective the difference between class 195 and 331 units is essentially whether they have an engine start instead of a pantograph up button and that the EMU have a higher acceleration. Much of the maintenance of these diesel and electric units is common. Both classes have a 100mph maximum speed and offer 2 + 2 seating with most at tables. Seating capacity for two, three and four car units in respectively 123, 203 and 283. 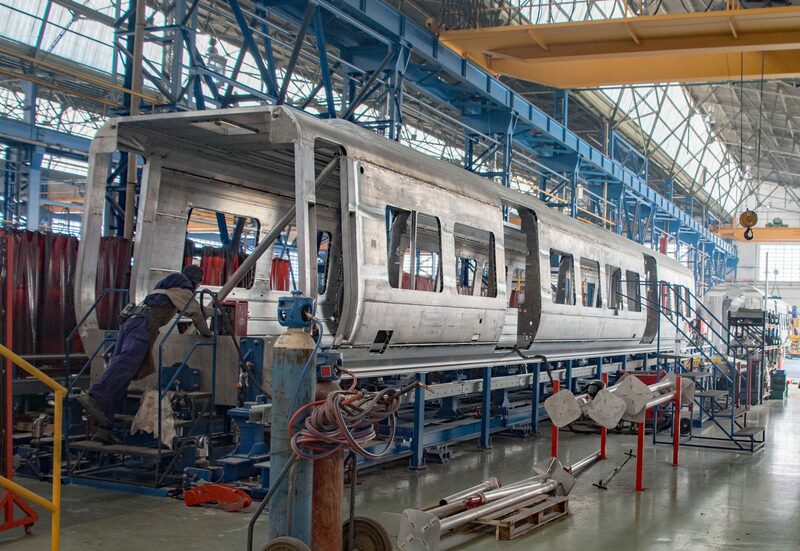 The bodyshells for both the class 195 and class 331 are built at the Zaragoza plant which also assembles, paints and tests the class 331 EMUs. The class 195 DMUs are assembled, painted and tested at CAF’s plant in Irun which has also just built its first unit. The bogies are manufactured at the company’s plant in Beasain. These first class 195 and 331 units will shortly go to the Velim test center in the Czech Republic for type approval testing. Other units will be shipped to Britain for mileage accumulation and individual acceptance tests. The first units will enter service in December 2018 and the last is expected to enter service in February 2020. These new trains will enable Northern to provide a 37 per cent increase in peak capacity next year. This article was written by David Shirres. The interiors looks very nice. 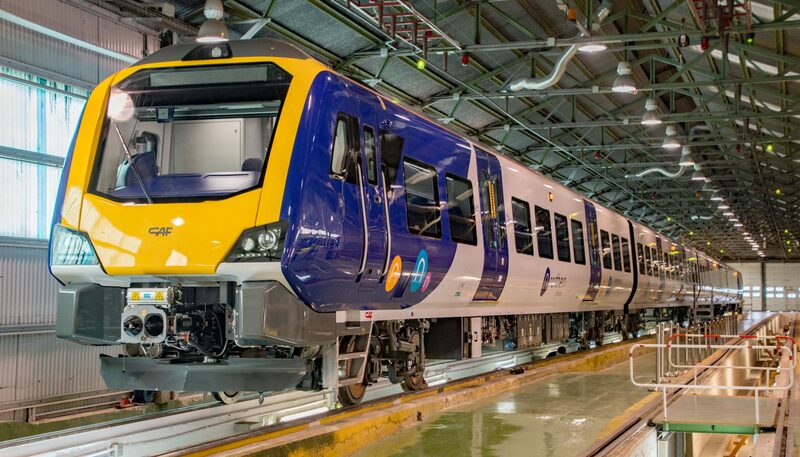 Good on CAF who are manufacturing new trains for the North of England. 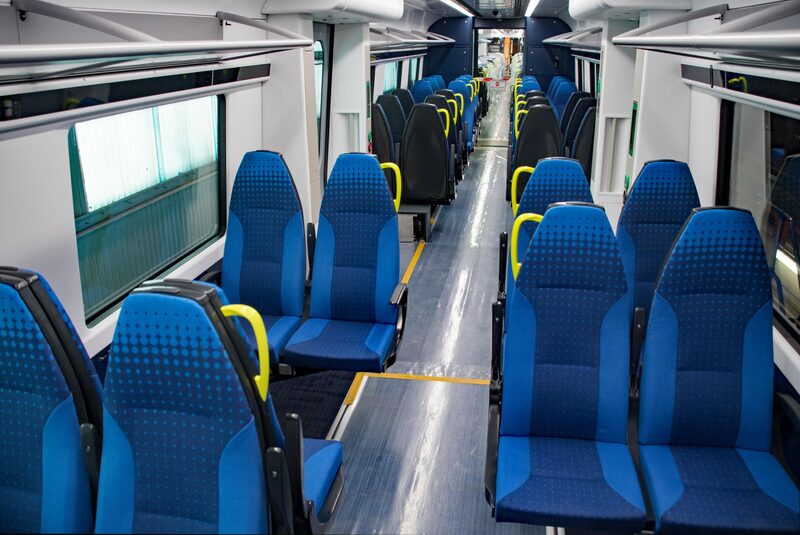 The Class 331’s, Class 195’s and Class 397’s Civity fleets will improve better services and to introduce extra seats during rush hour and to replace the older trains including the Class 143’s & Class 144’s Pacers Busrail units.